No explanation for any of the phenomena, and little character development. Felt cheated because, in the end, the real villians of this story get no retribution. Funnier than almost any movie I've seen to date...for all the wrong reasons. A real snoozer! Wasted 2 hours and my money, got so irritated because I was bored. Amateurish, but decent. The acting was overdone, but the ambiance and plot were perfect. Disappointing. Disorganized, with characters lacking clear motivation. Pretty lame, not at all scary. The gore wasn't even that great. A movie that defies expectations in the best way possible. Pretty lame. Some of the comedy was lowbrow, and some was overkill. Very little was funny. Knowing that Mr. Wonka is in some way a villain only makes the film better. This movie NEVER gets old. 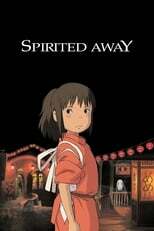 I usually hate anime about kids, but this is a masterpiece! Truthfully, I only rewatch this film for Rorshach's sake, but good movie nonetheless. Good portrayal of the serial killer's mind, and the yuppie movement of the 80s. I cried three times. This film is a work of art I'll never forget.